The European Space Agency (ESA) has successfully completed an experiment using a laser beam to communicate with the International Space Station (ISS) orbiting the earth. The agency sent the beam from the Optical Ground Station on Tenerife to the ISS while it orbits the earth 400 kilometers above the surface. The ESA has just released a photo of the successful test that took place last October. The laser illumination of the ISS is aimed at showing “how such laser links would work in practice,” according to the press-release. 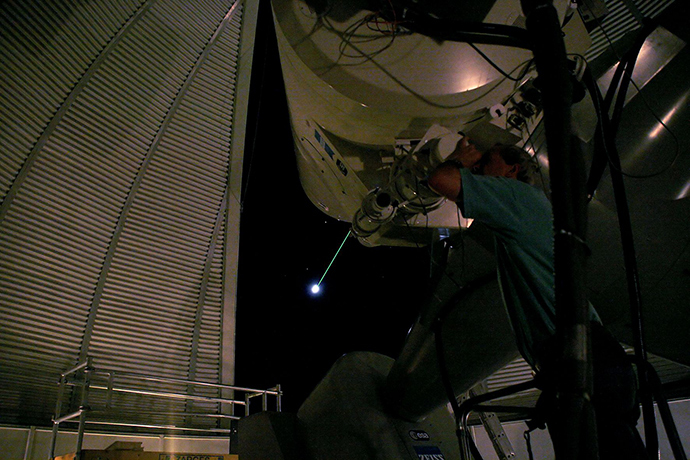 ESA’s Optical Ground Station has already established other laser links across far greater distances. 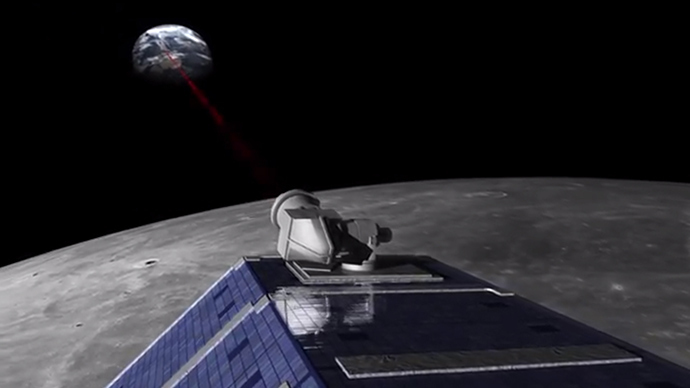 It was used on NASA’s LADEE mission to send a laser signal from the moon last April, and in the Alphasat mission to geostationary orbit, 36 000 kilometers away. In a similar test last November 1.8 GB of data per second was transmitted to the ISS using a laser, and scientists say that in the future it could be scaled up to 7.2 GB per second. Previously the best data exchange rate was just 80 MB per second. 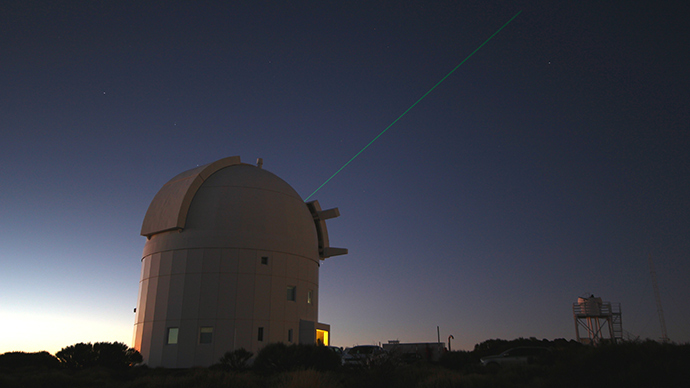 The European Union’s Copernicus program for monitoring the Earth, which is being developed largely by the ESA, will also use laser-based communication to transfer torrents of environmental information obtained by the European Data Relay System (EDRS) satellites to the ground. 2015 has been declared the International Year of Light and Light-Based Technologies by the United Nations and scientists hope that will boost research into the potential for wireless optical communication in space missions.